For a melt-in-your-mouth pot roast in the slow cooker. Whether you call it the trademarked Rival "Crock Pot" or simply a slow cooker, these handy kitchen appliances can't be beat for convenience -- and as icing on the cake, they produce some of the most delicious meals you'll ever put on your dinner table. 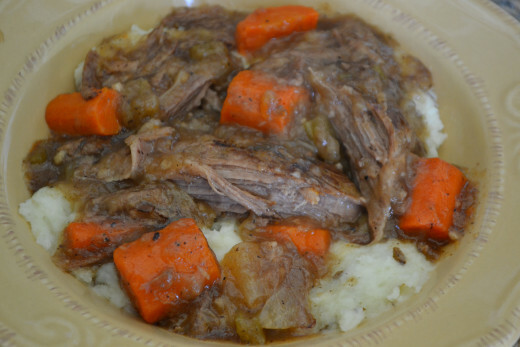 A slow cooker makes preparing a beef pot roast a snap. 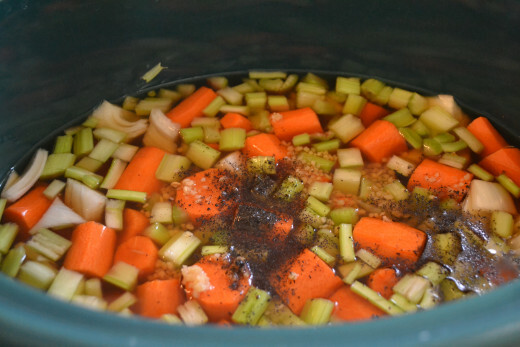 Simply fill the crock with a roast and veggies, flip the switch and be on your way. While this method is definitely the easiest and the resulting roast is delicious, there are two extra steps you can take to make the best tasting pot roast ever. 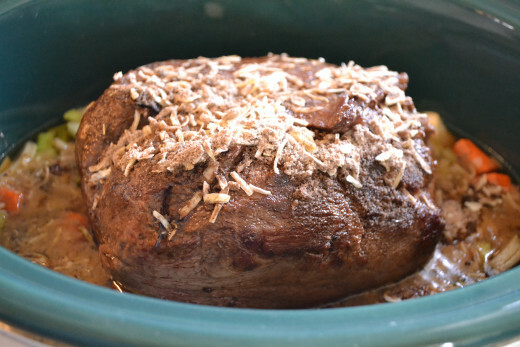 The first extra step is to brown the roast in a pan before placing it in the slow cooker. This step adds about 25-30 extra minutes and can make a big mess as hot oil spatters across your stove, but the extra flavor it adds to the finished roast is well worth it. It really brings out a rich, roasted flavor and turns the gravy a delicious-looking dark brown. Once you have browned the roast, the second extra step that you won't want to leave out is deglazing the pan you browned the roast in. This step only takes a few extra minutes and I'm happy to say isn't messy -- in fact, it actually helps clean up the pan. Occasionally I will skip these two extra steps if I'm in a really big hurry. The roast still takstes good, even though the color of the meat and gravy is a palish gray rather than a rich brown. However, if I have a bit of time, it is certainly worth the effort to complete these two added steps. 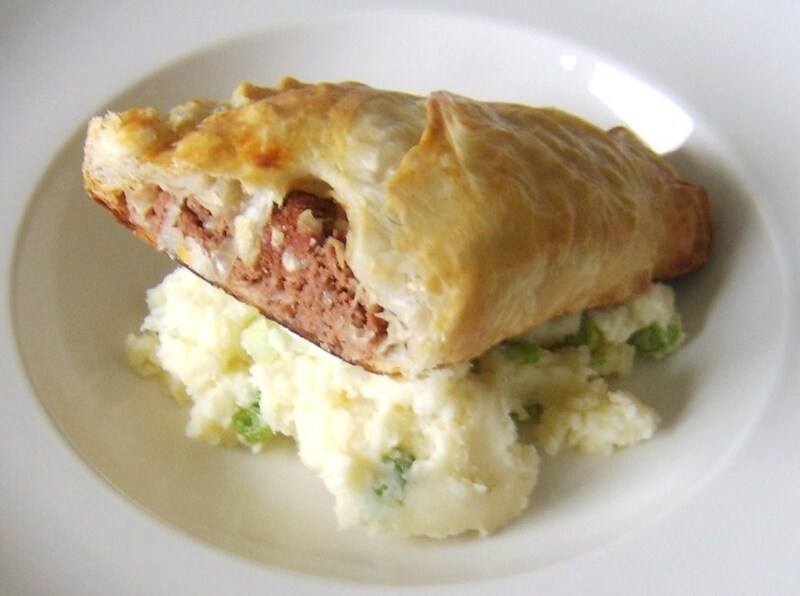 The complete recipe and directions are below. Peel onions and carrots. Chop onions into 1/2-inch chunks. Chop carrots into bite-size pieces and chop celery ribs into 1/4-inch pieces. Place chopped vegetables in the bottom of your slow cooker. Pour in two cans of beef broth and set heat on low. Pour 2 tablespoons of olive oil into a large skillet. 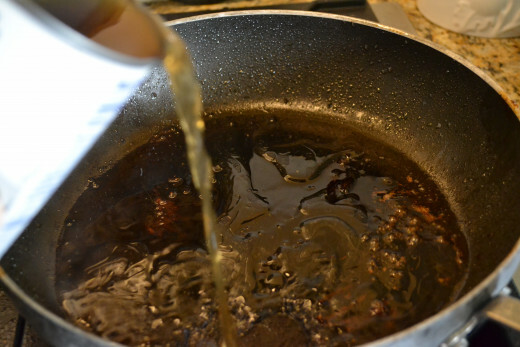 Turn the heat to medium- high and allow the oil to heat for about 30 seconds. Place the roast in the pan and leave about 4-5 minutes to brown. Turn to brown the roast on all four sides, plus each end, letting each surface brown about 4-5 minutes. Place browned roast in slow cooker on top of vegetables. Pour envelope of dry beefy onion soup mix over top of roast. Sprinkle roast with salt, pepper and chopped garlic. Turn the stove heat down to medium. 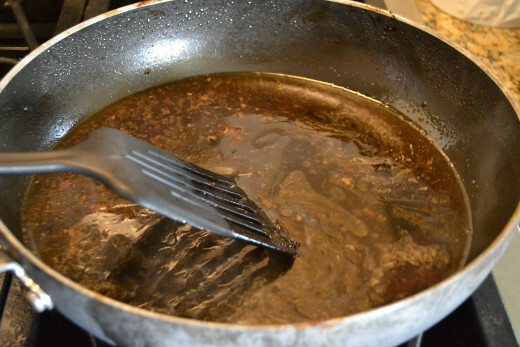 Deglaze the pan by pouring the third can of beef broth into the skillet. 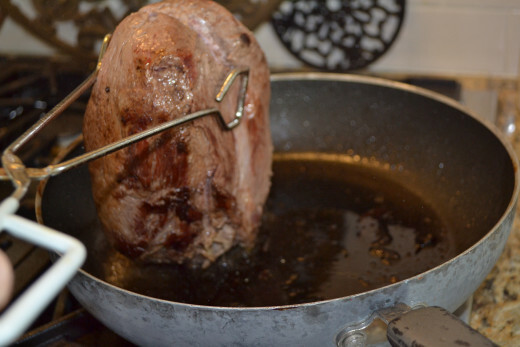 Use a spatula to gently scrape up any bits of beef roast that stuck to the skillet. When all bits have been scraped up and the bottom of the pan feels smooth, pour the broth over the roast in the crock pot. Cover and allow to cook on low 6-8 hours. Turn roast over about halfway through. Once roast has finished cooking, turn heat up to high. Stir about 1/4 cup water into a small bowl containing 1/4 cup corn starch. Pour the mixture into the broth and stir. Allow to cook until thickened. If broth does not thicken, stir another 1/4 cup water into another 1/4 cup corn starch. Stir into broth and mix in evenly. Cook until broth is thickened and bubbly. 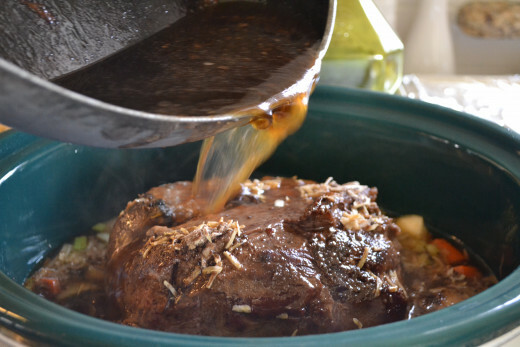 Leaving roast in the crock pot if possible, cut into large chunks if it has no already broken into large pieces. You may remove the roast to a platter to do this but I find it is easy enough to cut it right in the crock pot, and this keeps mess to a minimum. Place a serving-size piece of pot roast onto a mound of hot mashed potatoes. Ladle on a generous amount of vegetables and gravy. Amazon's highest-rated large slow cooker. Rated nearly 5 stars by more than 50 happy buyers. Thanks so much VictoriaLynn! It is a rainy day here and the weather is starting to cool down a little. Pot roast weather is coming! Looks like a great pot roast recipe! Pinning! I love fixing a roast in the crock pot. 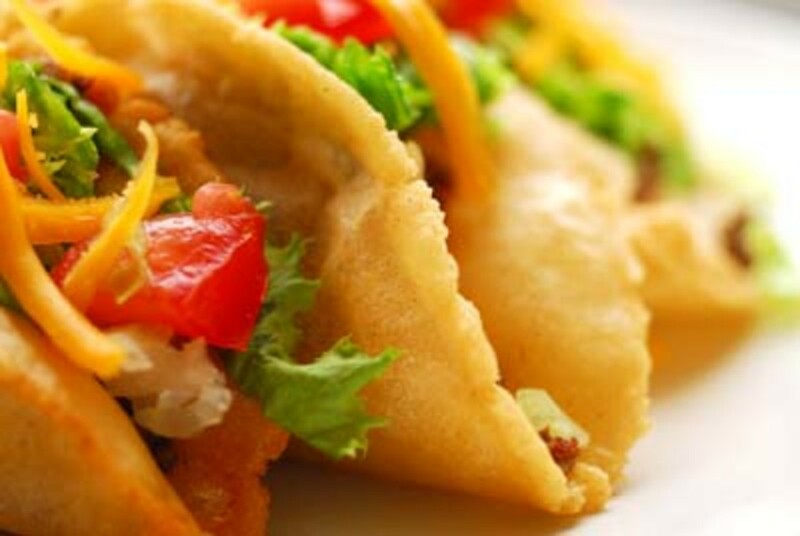 It's so easy and then you have a delicious meal ready without it being time consuming. You are absolutely right about how much better it makes the taste to brown the roast before placing it in the crock pot. It makes it taste much better. What I have not ever done is deglaze the pan, which I will have to try next time. 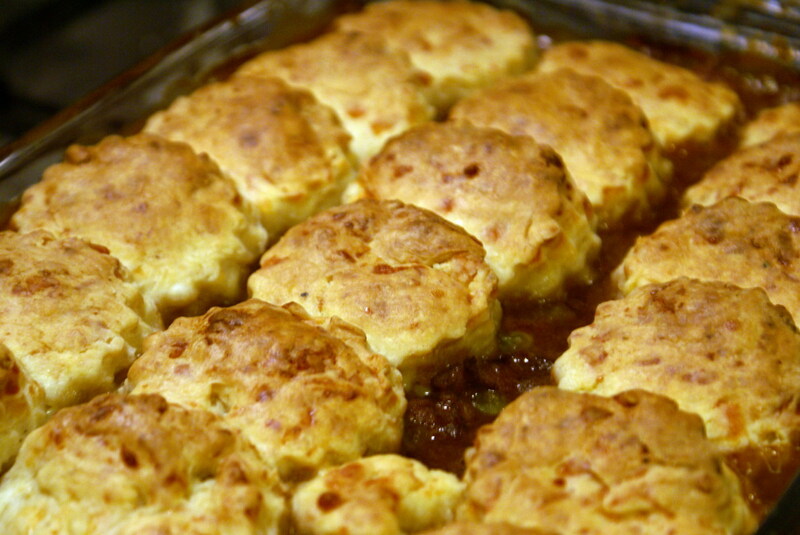 Thanks for sharing this great recipe and the tips to make it even better!